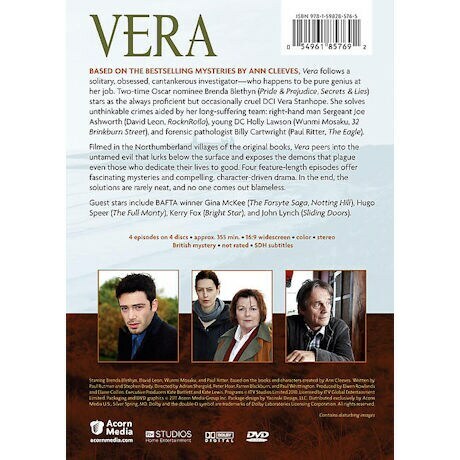 Based on the bestselling mysteries by Ann Cleeves, Vera follows a solitary, obsessed, cantankerous investigator-who happens to be pure genius at her job. 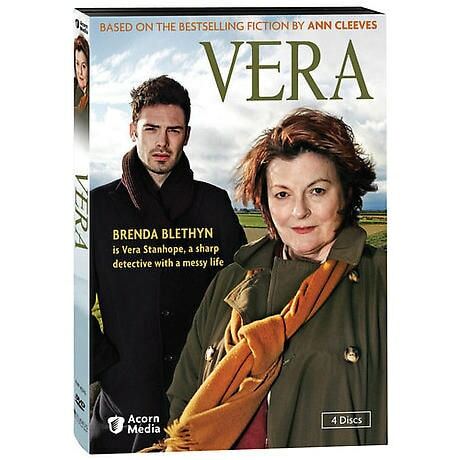 Oscar® nominee Brenda Blethyn (Pride & Prejudice, Atonement) stars as the always proficient but occasionally cruel DCI Vera Stanhope. She solves unthinkable crimes aided by her long-suffering team: right-hand man Sergeant Joe Ashworth (David Leon, Rock'n Rolla), young DC Holly Lawson (Wunmi Mosaku, 32 Brinkburn Street), and forensic pathologist Billy Cartwright (Paul Ritter, The Eagle). 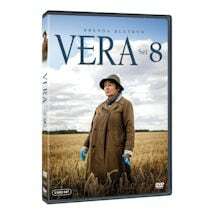 Filmed in the Northumberland villages of the original books, Vera peers into the untamed evil that lurks below the surface and exposes the demons that plague even those who dedicate their lives to good. Four feature-length episodes offer fascinating mysteries and compelling, character-driven drama. In the end, the solutions are rarely neat, and no one comes out blameless. 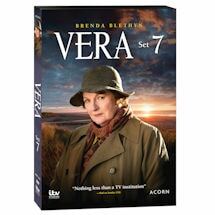 Vera Set 1 includes 4 episodes, 4 DVDs, approx. 395 minutes, SDH. A handsome young man, a coquettish student teacher, and nothing in common between them--except that both were murdered and left with their bodies meticulously posed. As the killer begins to zero in on a third victim, DCI Stanhope finds suspects and motives mounting. Eleven years ago, Jeanie Long was found guilty of murder, despite unwaveringly maintaining her innocence. On the strength of new evidence, DCI Stanhope must put together the pieces of a decade-old murder--and stop a ruthless killer before he or she strikes again. As groundbreaking begins on a rock quarry in the moorlands, a local woman who had opposed the construction is found murdered. She had been pressured to sell her land to the developers but refused. When two other women with connections to the project find their own lives in danger, Vera questions what makes this quarry worth killing for. Generally indifferent towards children, DCI Stanhope finds herself acting as caretaker for a boy whose mother was murdered before his eyes. As she unravels the deadly secrets that led to the woman's demise, Vera finds a kindred spirit in the boy--and the key to her case lying deep in his disturbed memory.